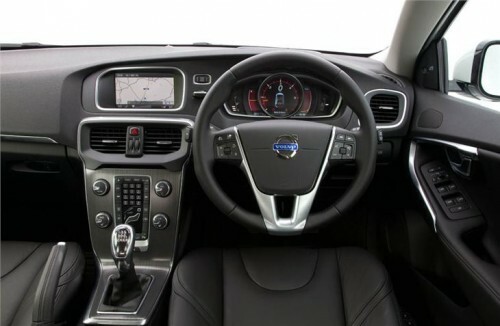 The Volvo V40 has everything I want in a car. It has a very modern design, beautiful and practical interior and sufficient performance. On the outside, it’s a four-door hatchback. It reminds me of Asian cars a lot, which is a good thing for me, but it also includes some features which are common for modern luxury cars from Europe. The interior is even better. The steering wheel is large, buttons on it are at hand and dashboard clocks are uniquely and beautifully organized (I have never seen a car with such an arrangement and I loved it at first sight). The clocks are actually not clocks, but a TFT screen which allows you to choose themes, colouring and the information you wish to see. The central column features high-class materials, absolutely beautiful dials and, at its very top, a perfectly sized multimedia screen with navigation. Leather upholstery makes the interior even classier and surprisingly supportive seats make every ride a joy. I was honestly surprised by the comfort of the V40. Also, I find safety very important. 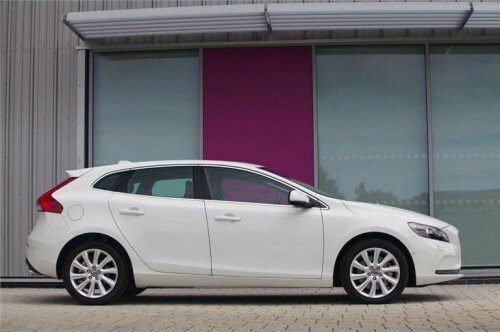 The Euro NCAP tests give the V40 the top 5-star rating. It is truly packed with safety features. The 2 l engine in my Volvo produces well above 200 horsepower which makes the car faster than I actually need it to be. Overtaking is very easy and fast and top speed is at around 230 kilometers an hour. At the same time, the fuel consumption is OK at about 8 l per 100 km. The six-speed automatic gears work very well, although they do require regular services and oil changes every three years. More than 300 l of boot space give sufficient storage capacity for a car of this class. I love this car, but there are a few things I can bicker about. The steering is very light which is something that some people will love, but I would prefer a bit more feel, especially having in mind that this is a capable car in terms of performance. The rear window is elevated and small so reversing does require some skill. However, this was so with most modern hatchbacks I tried before buying this one. I was told that manual gears significantly decrease fuel consumption. I love automatics, so a manual was never an option, but knowing that better fuel efficiency is possible makes me feel unhappy every time I fuel up my car.